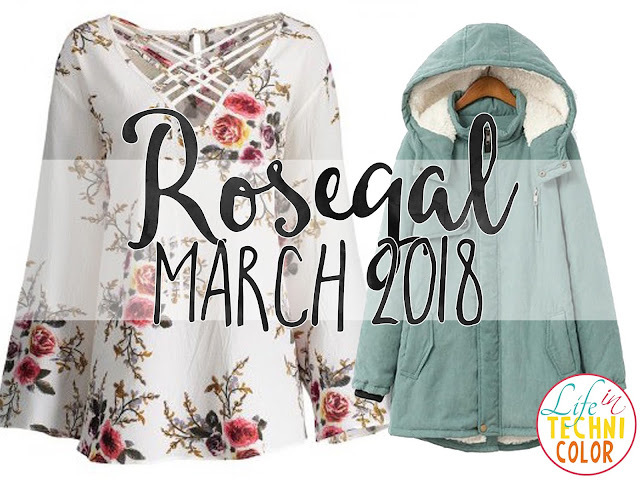 A couple of months ago, I first discovered Rosegal. It's an online store that sells affordable clothes, shoes, jewelry, accessories, bags, and even items for your home. Last week, I posted my first Rosegal haul which includes LED lights, a bracelet, some tops, a nice sweater, and wall stickers for my room. I enjoyed the stuff I got so much that I thought I'd have another go and check out more of their clothing options, starting with outerwear. Here, I found this Hooded Flocking Coat.. the downside? It's from the plus size section. 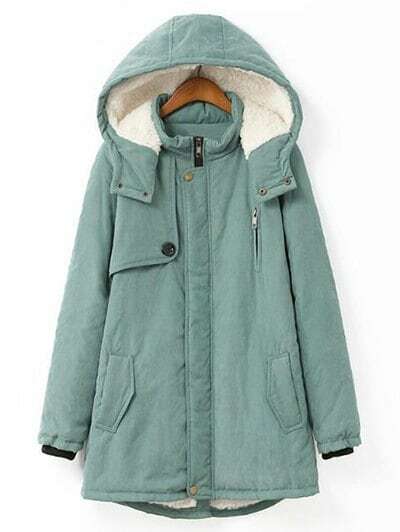 This Hooded Flocking Coat in Pea Green is an absolute beauty! I love its color and the way it looks overall. Unfortunately, it's only available from XL to 4XL. but you know what? XL might just work, because when it comes to clothes for really cold weather or winter, you tend to layer, so getting a bigger size is always better. 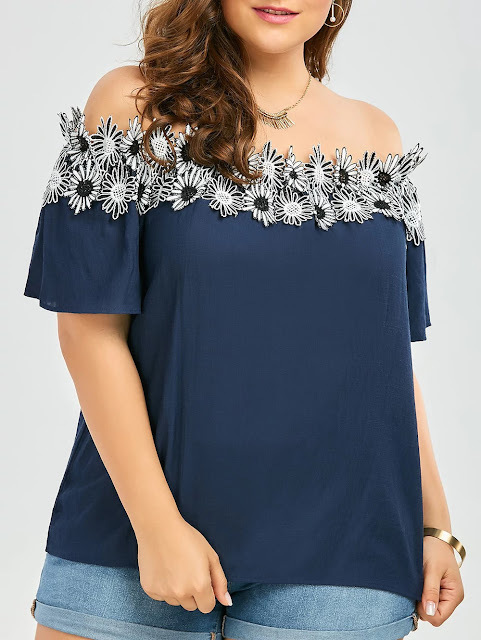 Another item I found from the plus size section is this Lattice Plus Size Hollow Out Floral Top - Crystal Cream. It's something I can see myself wearing. In fact, I believe I have a very similar top in green. 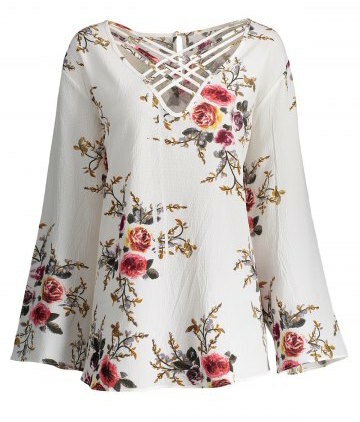 I really like florals in everything, and the criss cross design makes it stand out a bit more. It can be worn to events or maybe music festivals like Coachella - just add some accessories and you're good to go! Just check out the flowers on this one!! It's so gorgeous, and with summer just around the corner, I think it would look really nice to wear out to the mall or even to the beach! Click to see more details! I also paid a visit to their bottoms section. Since I have a wide bottom (a.k.a. big hips), it's really difficult for me to purchase bottoms - whether it be pants, shorts, or skirts - online. It seems that I have a different size in every establishment, so I really have to try them on to ensure they'll fit me.